Get to those hard to reach places with JOES Double end AN Wrenches. Designed to allow you to turn a fitting in 15-degree increments. 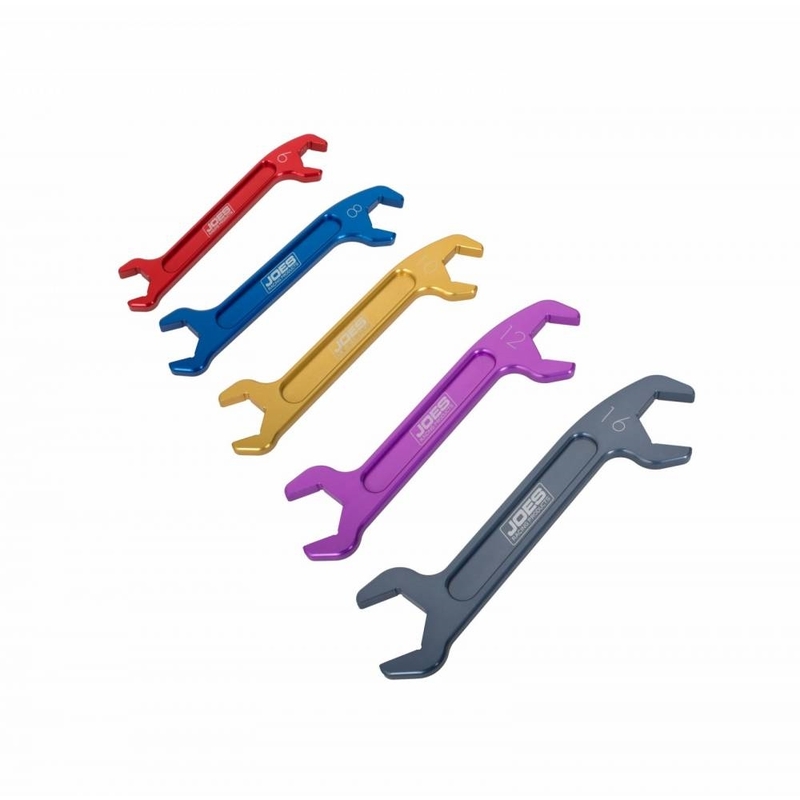 Bright anodizing helps find the proper size wrench in a hurry. Precision machined from 6061-T6 aluminum. Sold individually or in 5 or 8 piece wrench sets.